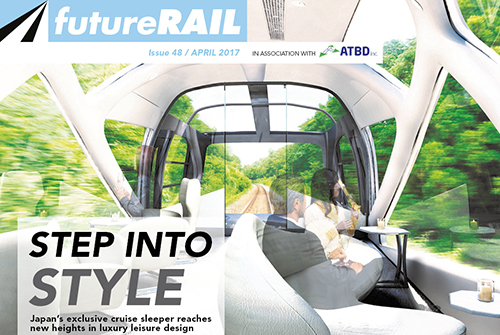 In this issue: Onboard Japan’s luxury sleeper, China’s high-speed rail transfer policy and direct rail freight for the UK, the unlikely success of monorails, GE’s trainsets for India, Stuttgart’s new station, and more. 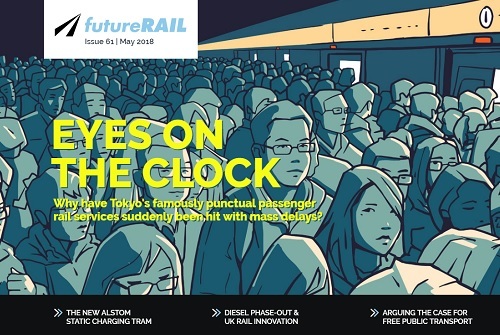 In this issue: Exporting Japan’s bullet train, what it takes to drive Virgin Trains’ new Azuma, Sydney Metro’s growth spurt, solar-powered trains, engines of tomorrow, combating fake tickets, and more. 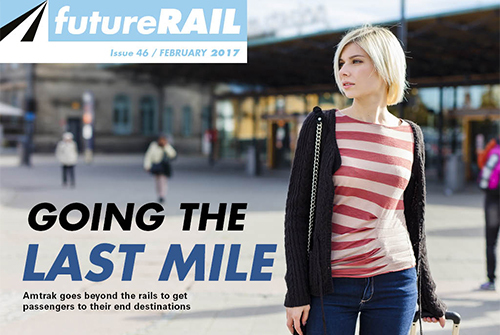 In this issue: Amtrak and Uber unite for the last mile, open access passenger services, HS2’s second stage, using drones for accident investigations, e-tickets in the Apple Wallet, passenger security, and more. 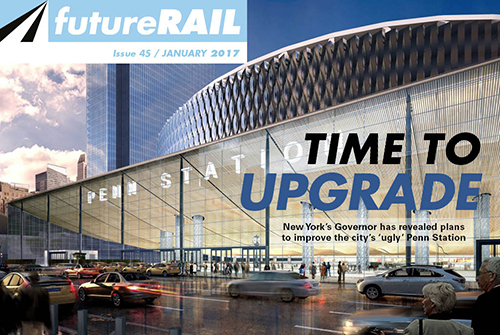 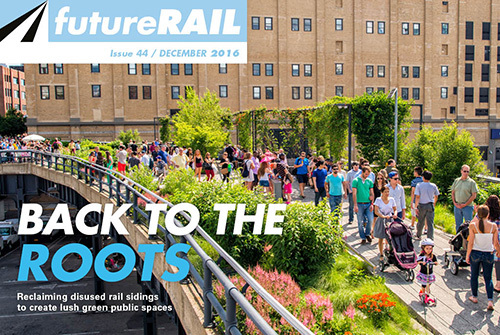 In this issue: Best of the projects coming up this year, New York Penn Station’s revamp, dealing with delay compensation and alcohol consumption, green alternatives for non-electrified lines, turning locomotives into inspectors, and more. 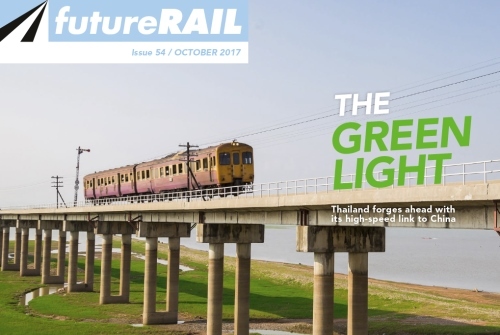 In this issue: Major cities are reclaiming disused tracks, China backs Russian rail, Europe’s uniform signalling, transforming Amtrack’s Northeast Corridor, on-board infotainment, Network Rail and the Shaw report, operational excellence, and more. 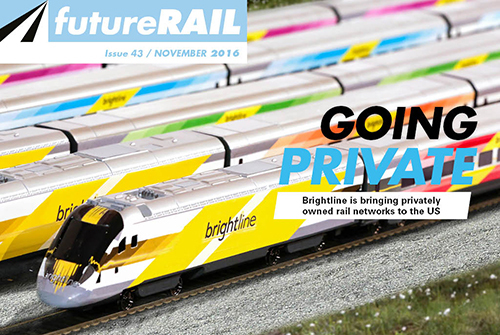 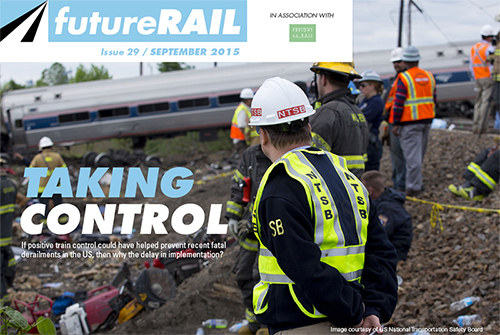 In this issue: Privately owned US rail, Crossrail’s Bentley software, Jakarta’s mass rapid transit system, the digital train inspired by Hyperloop, body camera on trial for rail security, the National Training Academy for Rail one year on, and more. 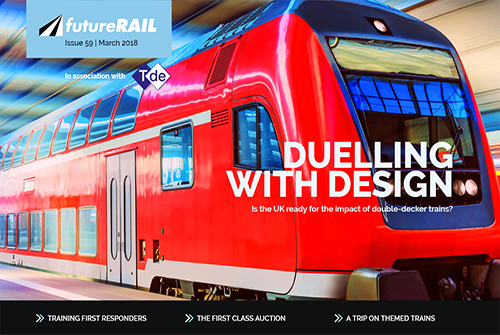 In this issue: the future of multi-modal transport, rail and culture in the US, Fujitsu on moving railways into the digital age, Alstom’s double-decker plans for HS2, safety concerns over driverless freight trains, crowdfunding London’s transport and more. 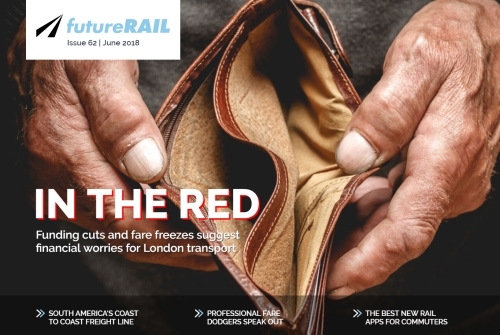 In this issue: Tackling violence against transport workers, dealing with climate change, timber asset management and carbon neutral cargo, and the tech transforming network protection, landslide prediction, inspections, onboard entertainment and more. 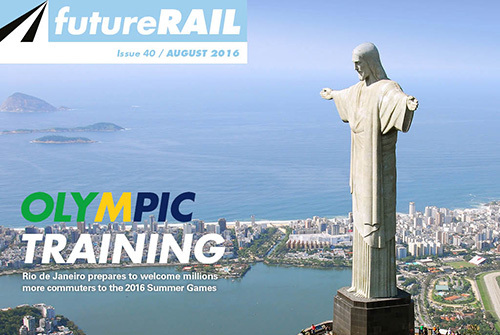 In this issue: Rio de Janeiro prepares for the 2016 Olympics, the impact of the Shaw Report, Queensland’s Cross River Rail, Bombardier in India, hydrogen power in Germany, Transport for London’s open data programme, and more. 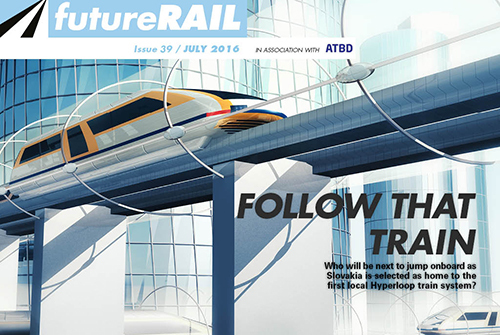 In this issue: Building the first hyperloop system in Slovakia, the Lyon-Turin high-speed rail, British Transport Police’s sexual offence unit, Scotland’s push on rail freight markets, New York’s new Oculus station, and more. 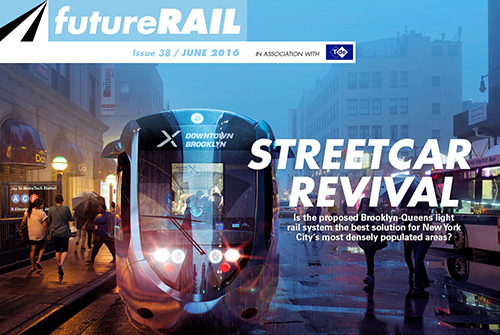 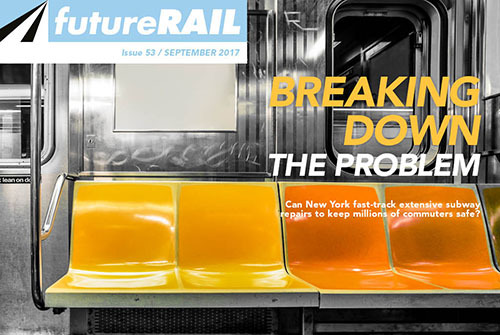 In this issue: A new streetcar for New York, Crossrail’s learning legacy, connecting Iran, the business case for improving accessibility on rail networks, drone inspections in the US and more. 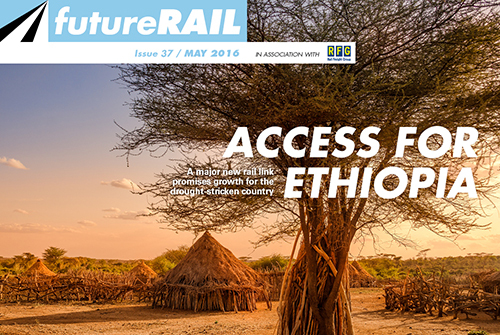 In this issue: Improving infrastructure in Ethiopia, boosting US rail to tackle climate change, the future of London’s commuter lines under TfL, tram trouble in Lisbon, account based ticketing and more. 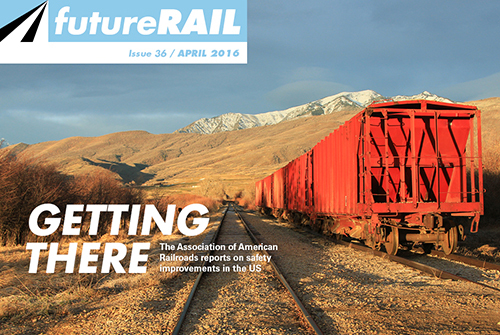 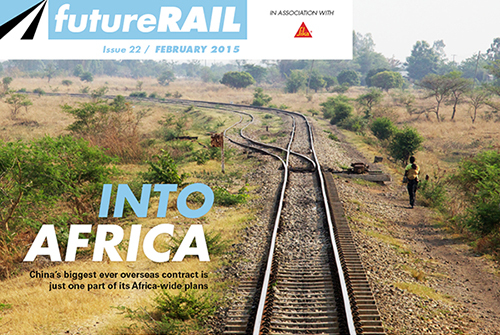 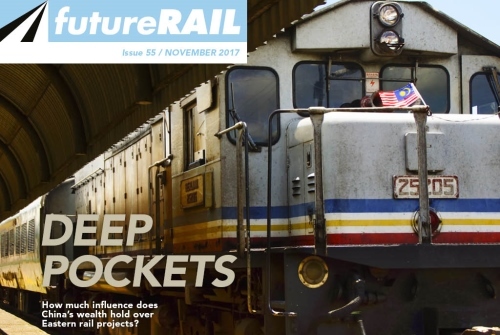 In this issue: railway development in Nigeria, the Helsinki-Tallinn rail tunnel plan, rolling stock procurement in Europe, the state of rail safety in the US, tackling emissions at stations and more. 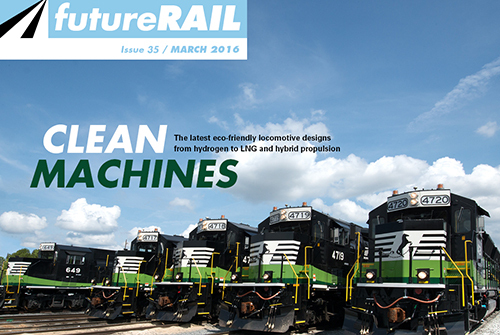 In this issue: The most promising eco-friendly locomotive designs, innovation with HackTrain, the UK’s rolling stock boom, project management tips from Crossrail’s programme director, seeing the bigger picture in network maintenance and more. 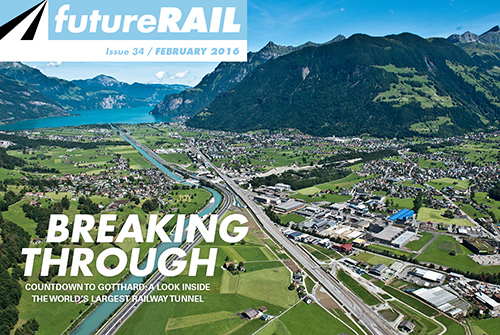 In this issue: Alstom’s new focus on rail, inside the Gotthard Base Tunnel project, how London Underground is recycling energy from Tube trains, Germany’s first crowdfunded rail service, a look at the world’s railway heritage and more. 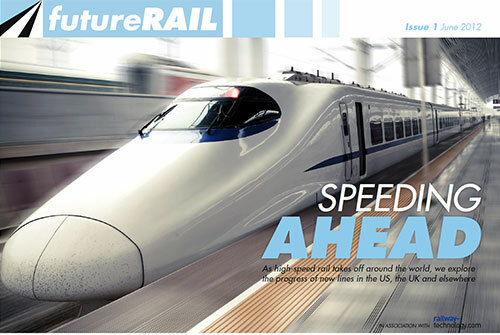 In this issue: Why the UK is looking to China for HS2 investment, how the US is preparing its network for the PTC implementation deadline, solutions to Chicago’s rail gridlock, taking the stress out of rush hour with new tech ideas and more. 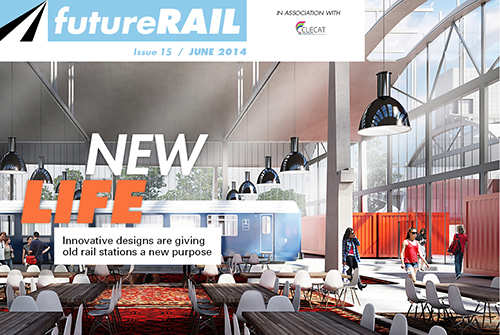 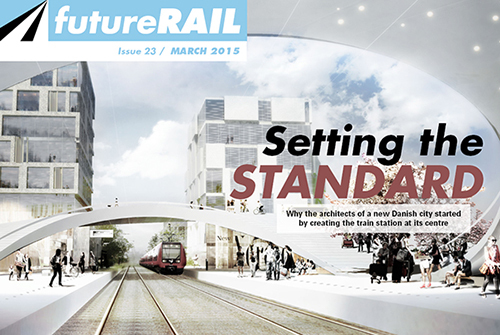 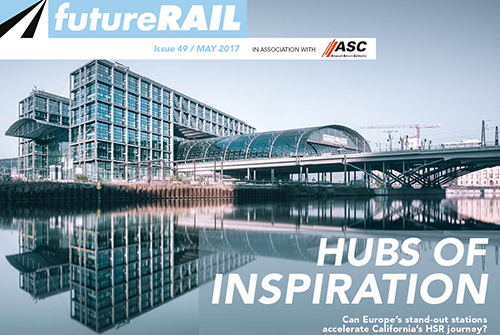 In this issue: The reconfigurable carriage concept, a forensic approach to cable theft, ERTMS and cybercrime, catering better to passengers, giving new life to abandoned stations, and more. 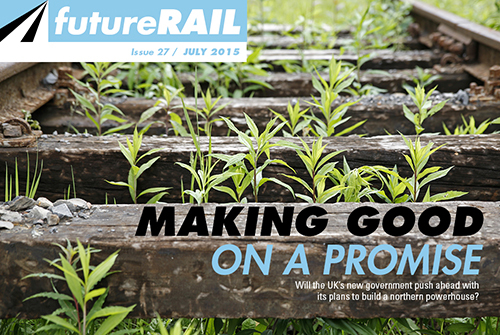 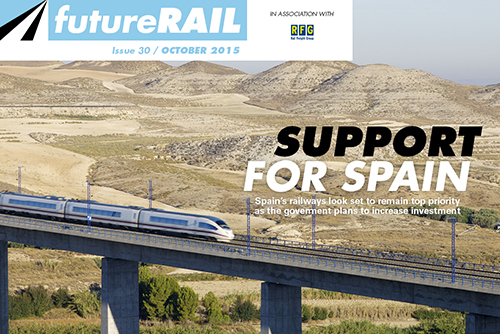 In this issue: the UK Government’s commitment to revolutionising rail in the North, Australia prioritises road over rail, Europe promotes sustainability across the supply chain, Florida’s new express rail link, rail-air multi-modal freight systems, and more. 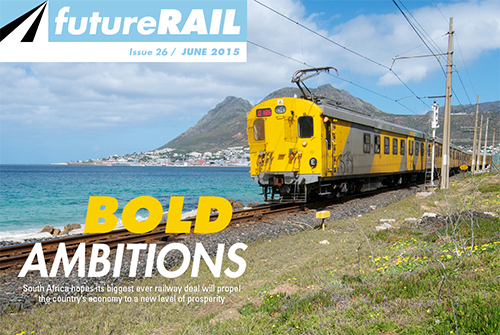 In this issue: South Africa’s biggest ever rail project, how Texas could overtake California in high-speed rail, New Delhi’s stalled station modernisation, innovation in rolling stock testing, virtual training for train drivers, and more. 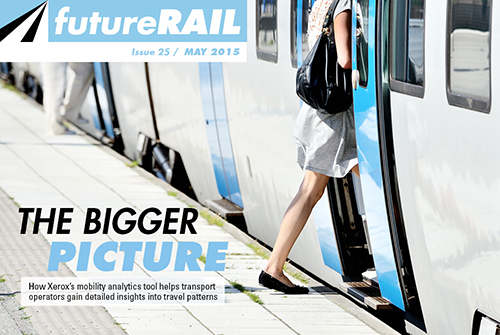 In this issue: Xerox’s new Mobility Analytics Platform, contactless payments, more concerns over HS2, trialling a new electric train on UK tracks, preventing animal casualties, and more. 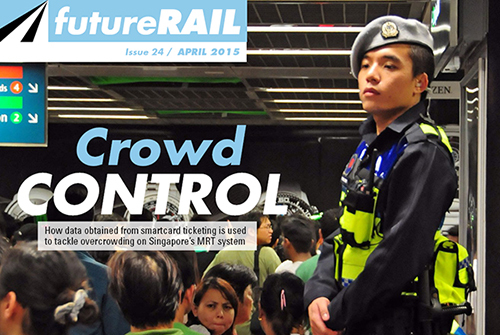 In this issue: Tackling overcrowding with smart ticketing data, China’s emerging rolling stock giant, the many hurdles to India’s rail modernistaion plan, how findings from the SafeRail study can be implemented to improve safety at level crossings and more. 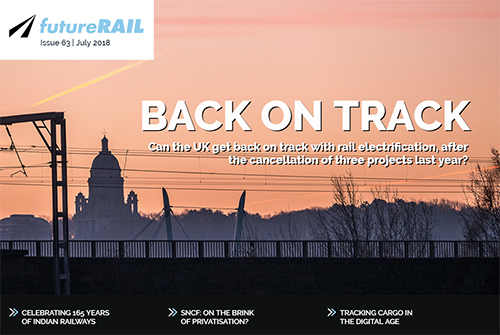 In this issue: Russia’s progress with LNG-powered trains, Alstom’s H3 diesel hybrid, developing a new city around a rail station, how freight operators are adapting to new European emissions legislation, a look inside the Eurostar e320 and more. 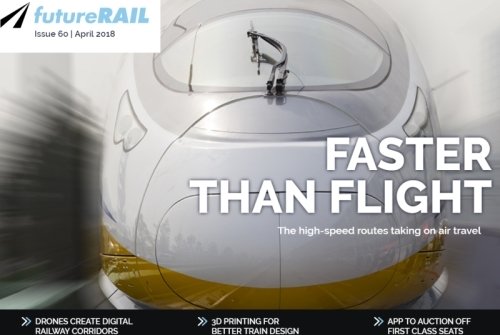 In this issue: The UK’s controversial plans for HS3 in the north, proposals for a US-Mexico high-speed link, China’s massive investment in African infrastructure, Cisco’s Connected Transport Challenge, the reasons behind skyrocketing rail fares in the UK, and more. 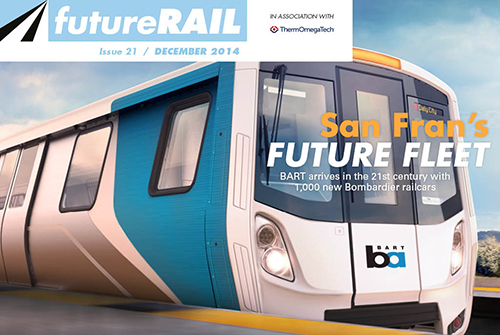 In this issue: San Francisco’s fleet of the future, the first fully automated local network in the US, SNCF’s investment strategy at home and abroad, solving London’s transport crisis, 3D laser mapping for rail network maintenance and more. 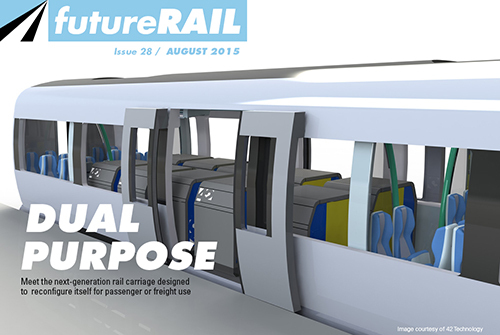 In this issue: A new Tube for London, Arup’s vision for rail transport in 2050, Samsung’s tech offering to rail operators, what rail operators can learn from airport security, China’s push for international high-speed projects and more. 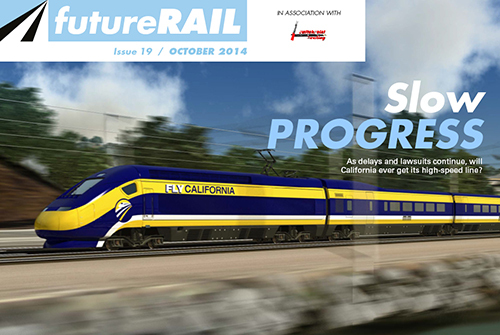 In this issue: In this issue: California's high-speed saga continues, China's export ambitions, India's rail reforms, Japan's maglev proposal to the US, innovative technology for train traffic control and more. 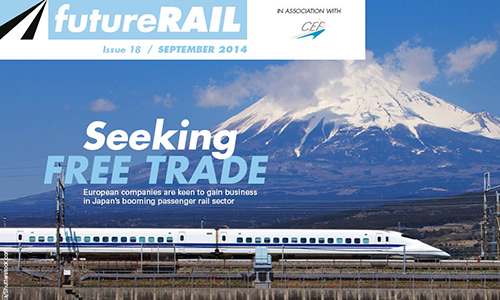 In this issue: The EU’s efforts to form a free trade agreement with Japan’s rail industry, new safety regulation for crude oil transport in the US, a super-luxury train, a futuristic concept for vertical rail hubs, the booming market for rail passenger apps and more. 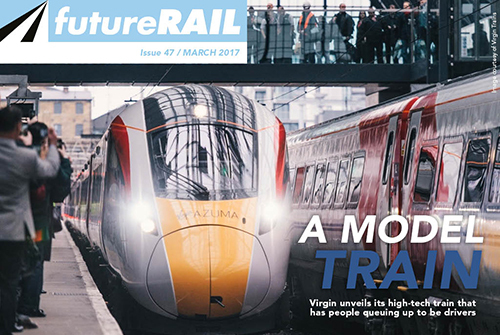 In this issue: the viability of high-speed rail in Australia, a new metro for Saudi Arabia’s capital, the new Siemens Class 700 Desiro train for London’s Thameslink network, catching fare dodgers in Barcelona with artificial intelligence, the pitfalls of transit map design and more. 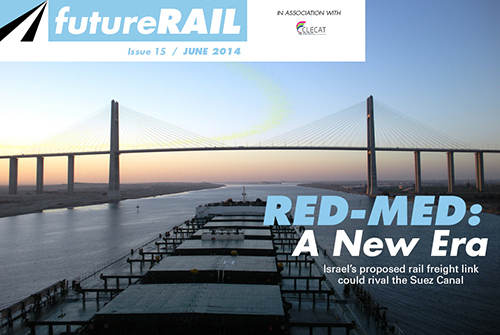 In this issue: Israel's rail alternative to the Suez Canal, re-opening lines in Britain, Hitachi's global vision, high-tech customer service and more. 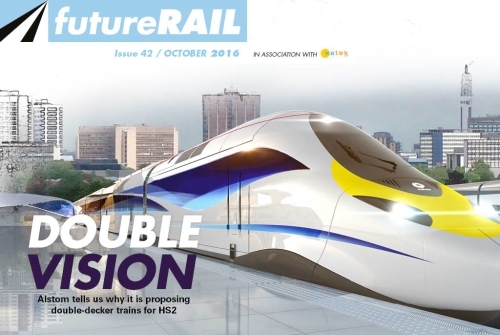 In this issue: The two sides of the HS2 debate, a new streetcar for Washington, DC, finding long-term solutions to water damage on the UK network, new life for decommissioned rail stations and more. 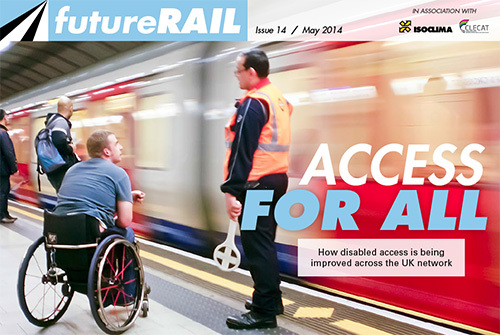 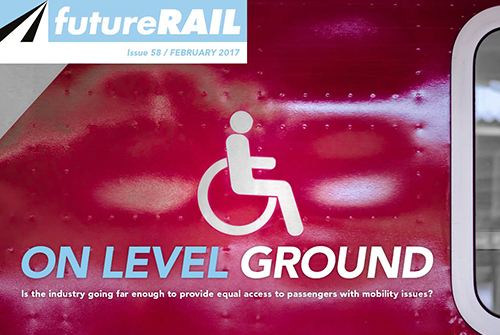 In this issue: Improving disabled access across the UK network, how reopening old rail lines could revive rural areas in Devon and Scotland, a new focus on pedestrian routes between stations and city centres, the switch to mobile ticketing systems and more. 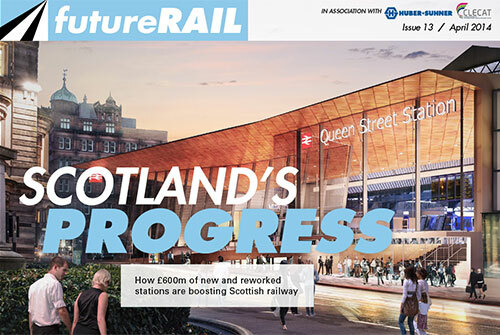 In this issue: software to prevent derailments, integrated wireless connectivity, Scotland's railway overhaul and more. 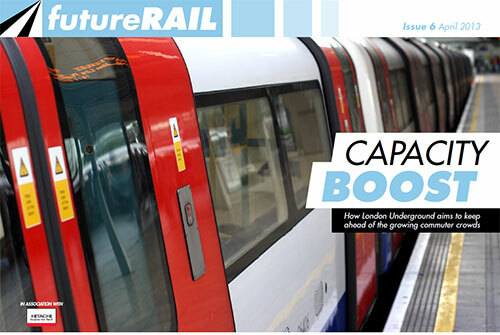 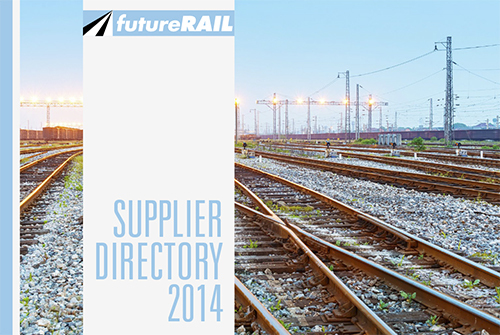 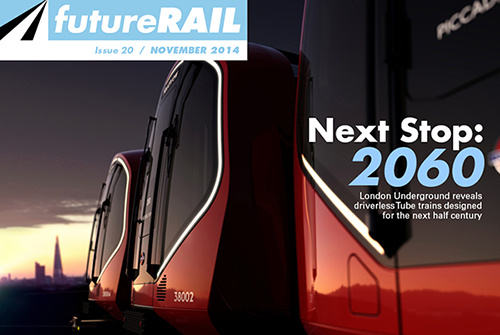 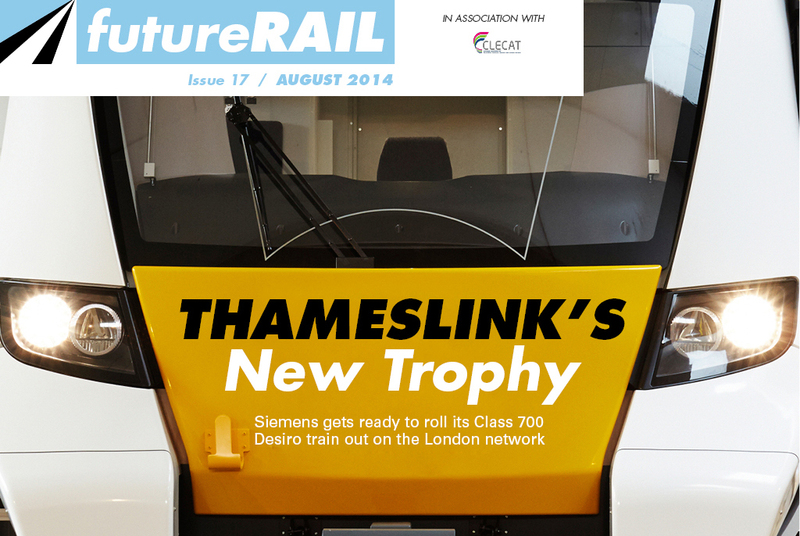 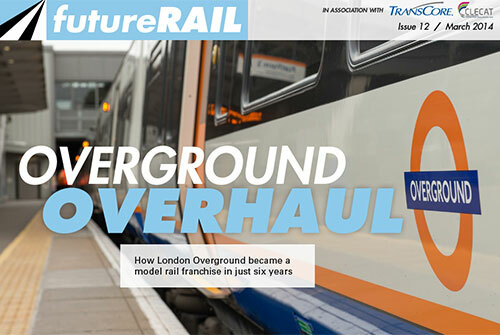 In this issue: London Overground's success, Hitachi's UK supply, Europe's 10 fastest trains, Starbucks train and more. 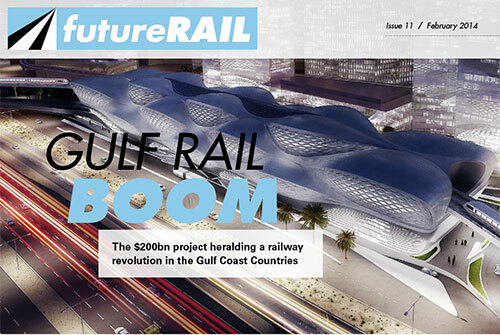 In this issue: the GCC mega project, tram-trains, maintenance with fibre optics, UK network connectivity and more. 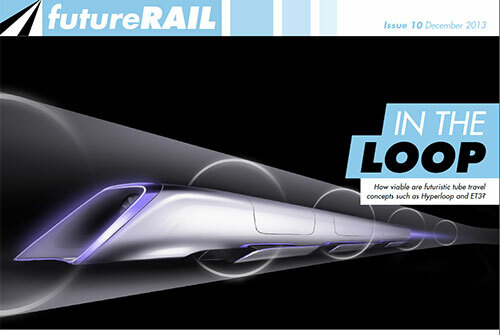 In this issue: Hyperloop vs ET3 – our future travel special on tube travel systems, the winner of our Innovations in Safety Award 2013, improving the energy efficiency of locomotives with aerodynamic design, the ten fastest trains in the world, how station design is evolving to improve passenger experience, the mobile ticketing revolution and more. 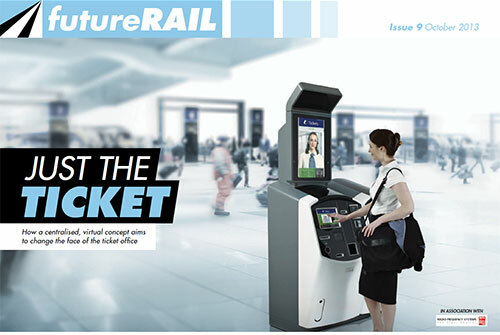 In this issue: The impact of 4G technology on rail operations and passenger service, how Canada aims to overhaul safety measures on the country's network, a futuristic virtual ticketing concept that could change the face of the ticket office, why hydrogen-compatible systems could represent a better long-term fuel investment for operators than natural gas, how a new EU project works on saving energy on subway systems, how human footfalls could be used as an alternative source of energy in stations and more. 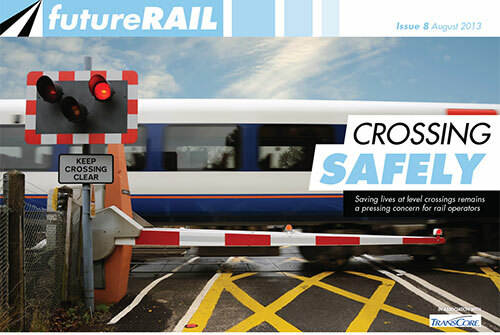 In this issue: Improving safety at level crossings, nominees for the Future Rail Awards 2013, how Deutsche Bahn tackles graffiti damage with unmanned drones, making stations more user-friendly, new research into underground air quality and more. 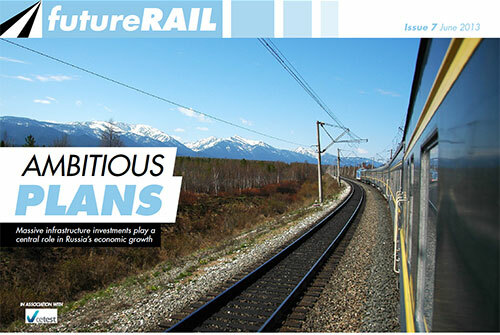 In this issue: Russia's massive investment in rail infrastructure, a unique funding concept for London Underground's line extension, how free rail fare data could simplify fares for passengers in the UK, the redevelopment of Birmingham New Street Station, the future of LNG and hydrail and more. 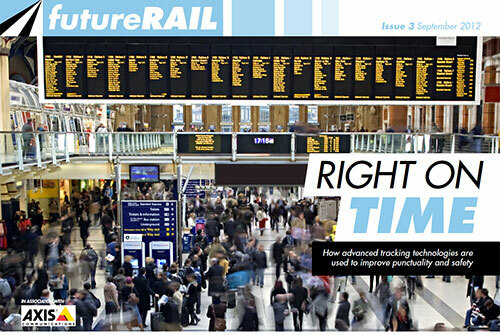 In this issue: Tackling rush hour crowds on busy commuter networks, Network Rail's investment plan for UK infrastructure, concerns surrounding China's high-speed expansion, how operators can meet the challenges of adverse weather conditions and more. 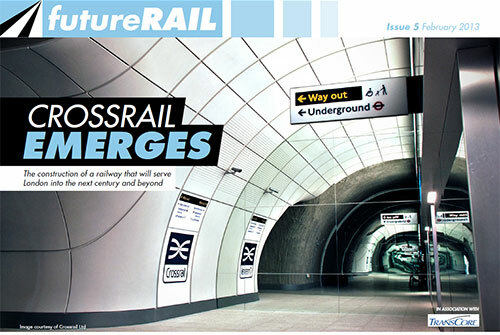 In this issue: London's Crossrail stations, Amtrak's high-speed vision, fire-safe metro carriages, the new Eurostar trains, mobile eTicketing and more. 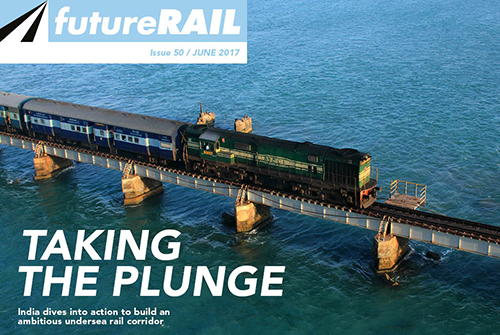 In this issue: Next-generation trains for high-speed railways, India's network modernisation plan, a new personal rapid transport system from the team behind Ferrari, Belgium's air-rail network, the market for rail door systems and more. 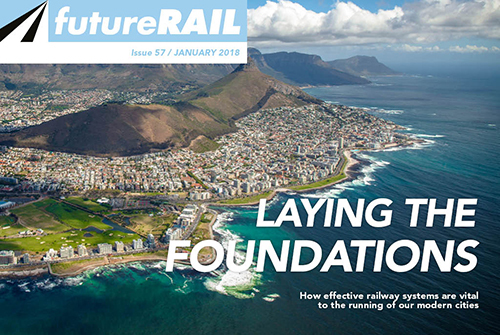 In this issue: How advanced tracking technology improves punctuality and safety, South Africa's Transnet project, 3D BMI for station design, the potential of new hydrogen-powered trains and much more. 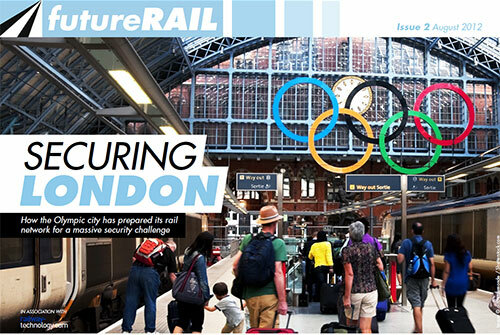 In this issue: London's Olympic security challenge, driverless metro systems, benefits and challenges of light rail transit, the best airport rail services, carriage interior trends, paperless ticketing and more. 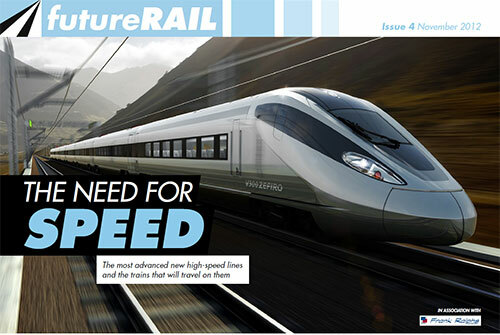 In this issue: New high-speed networks, the BRICs nations’ massive expansions, Eurostar’s next-generation trains, London gears up for Olympic traffic and more. 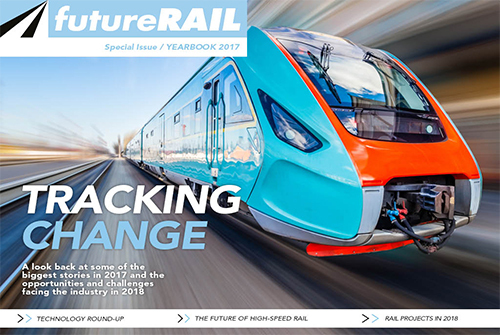 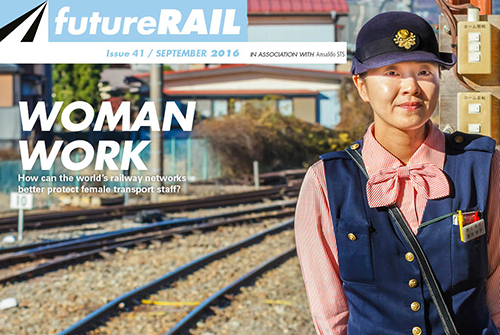 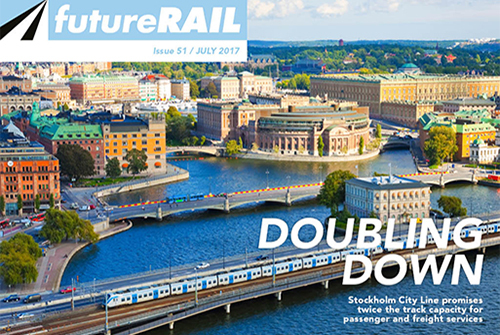 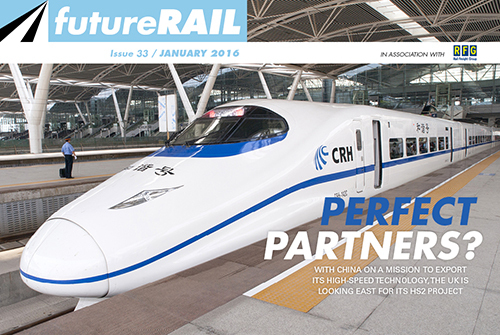 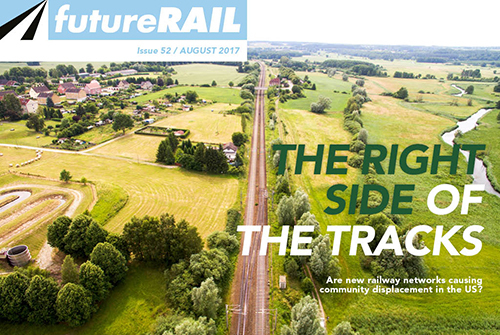 Future Rail is a digital magazine offering informative, in-depth coverage of the railway industry in an exciting, interactive format. 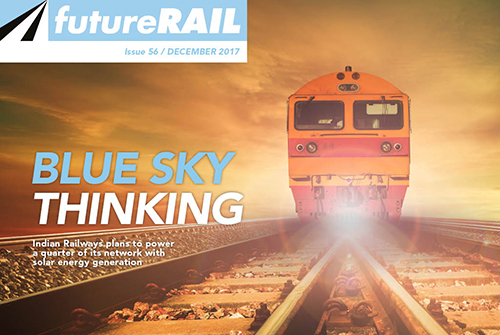 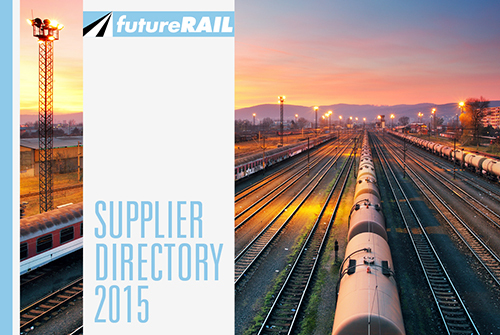 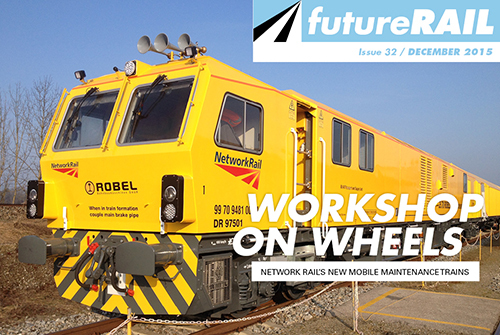 Published monthly and brought to you by an experienced editorial and design team, Future Rail is the essential magazine for decision-makers wanting up-to-date rail industry news and analysis.